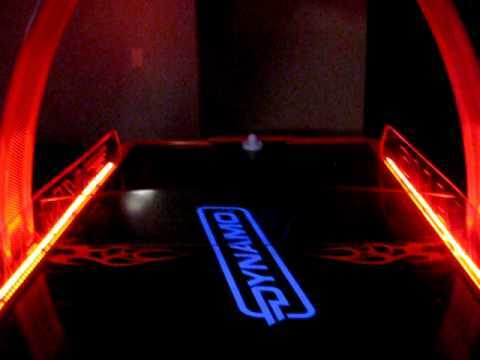 Fire Storm 8′ Air Hockey Table | Fun! 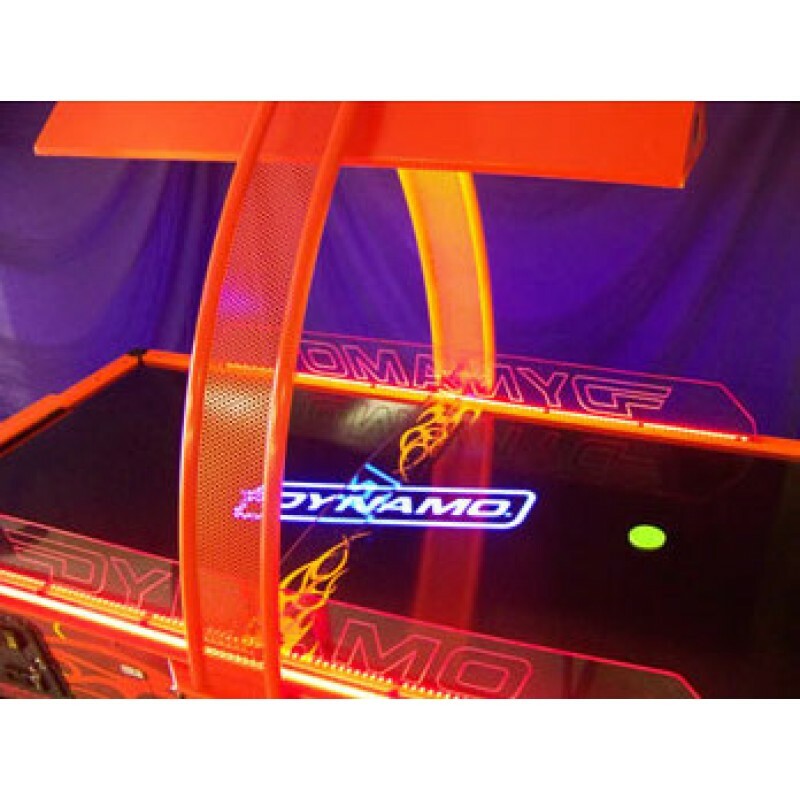 Includes Factory – 6 Month Warranty on Parts. Dynamo’s new star comes home! 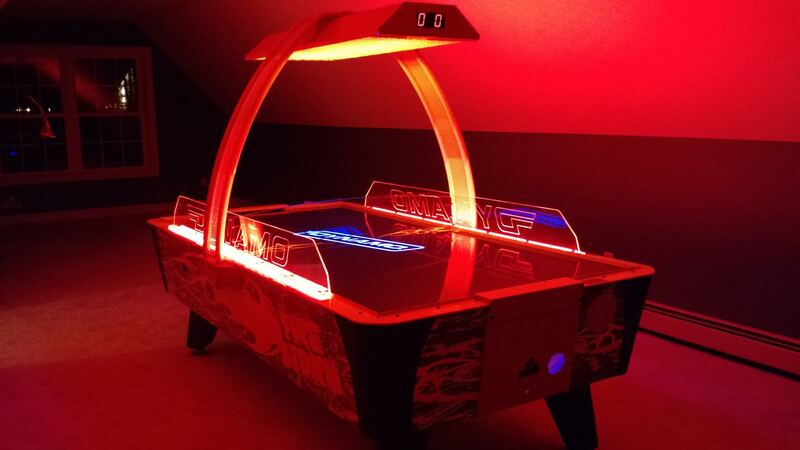 Interactive LED lighting and a dramatically sculpted overhead design make Fire Storm the authentic finishing touch for that high-end home game room, or that location where coin operation is not a requirement but Dynamo durability is! 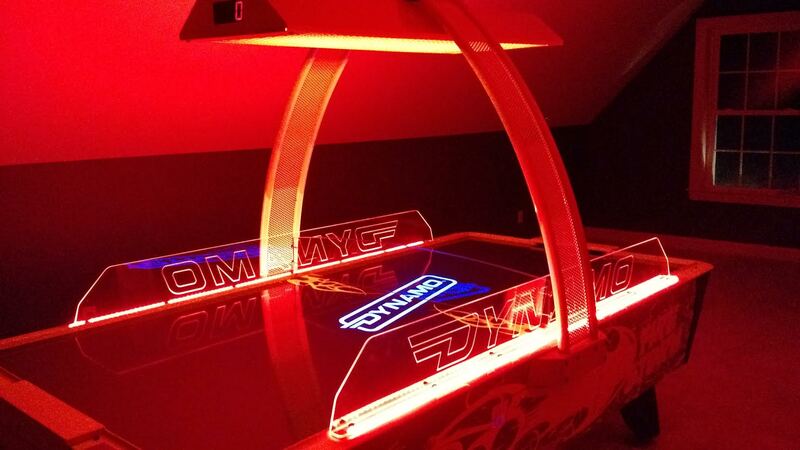 Striking new overhead design adds to the visual pizazz!! 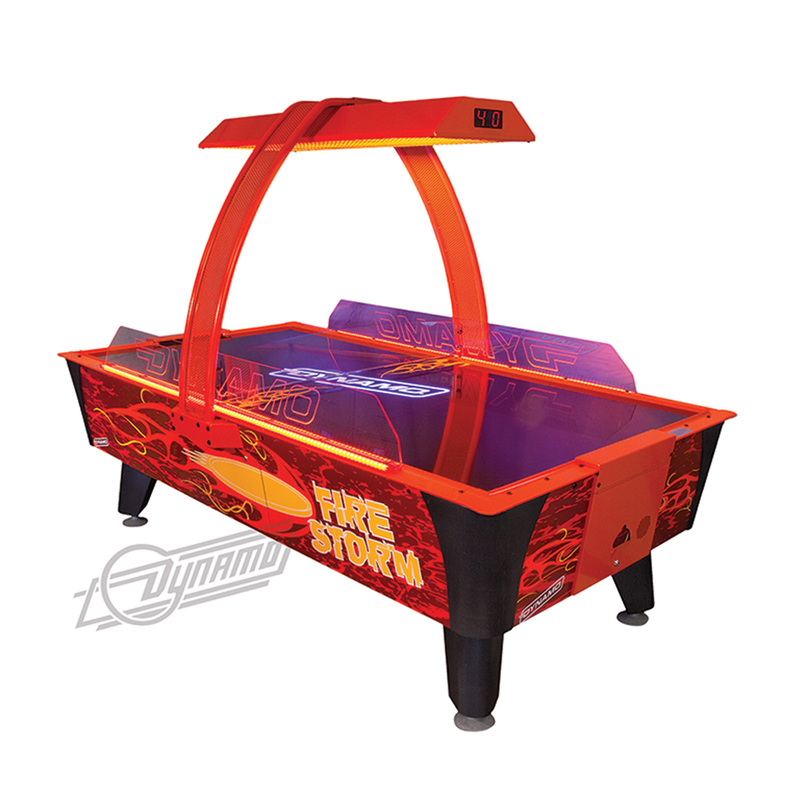 Impact-resistant laminate playfield – for long life and simple replacement. 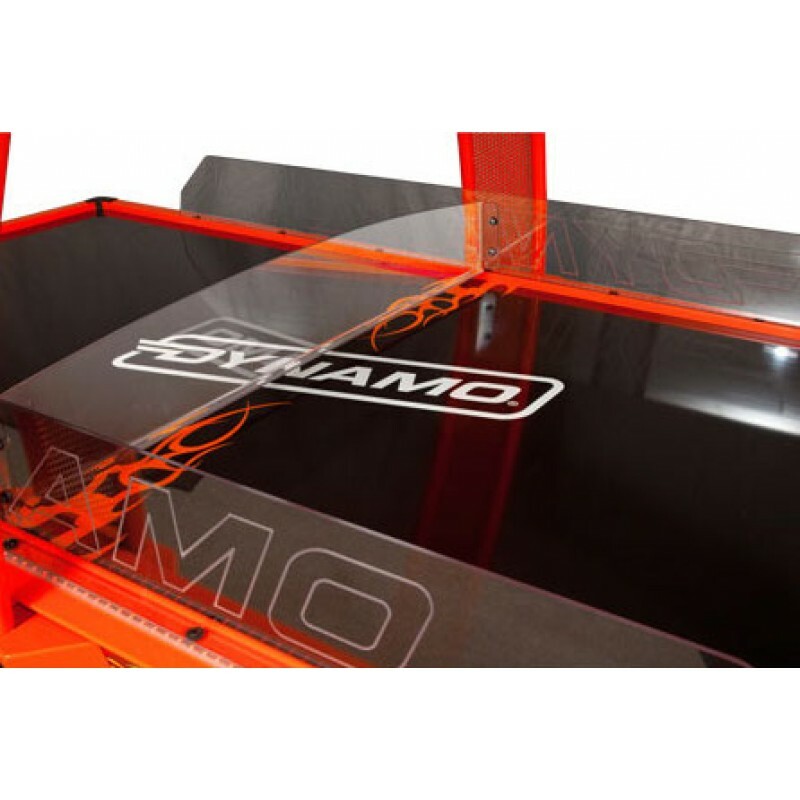 Infrared jam-proof scoring with improved goal ends to reduce jamming and down time. 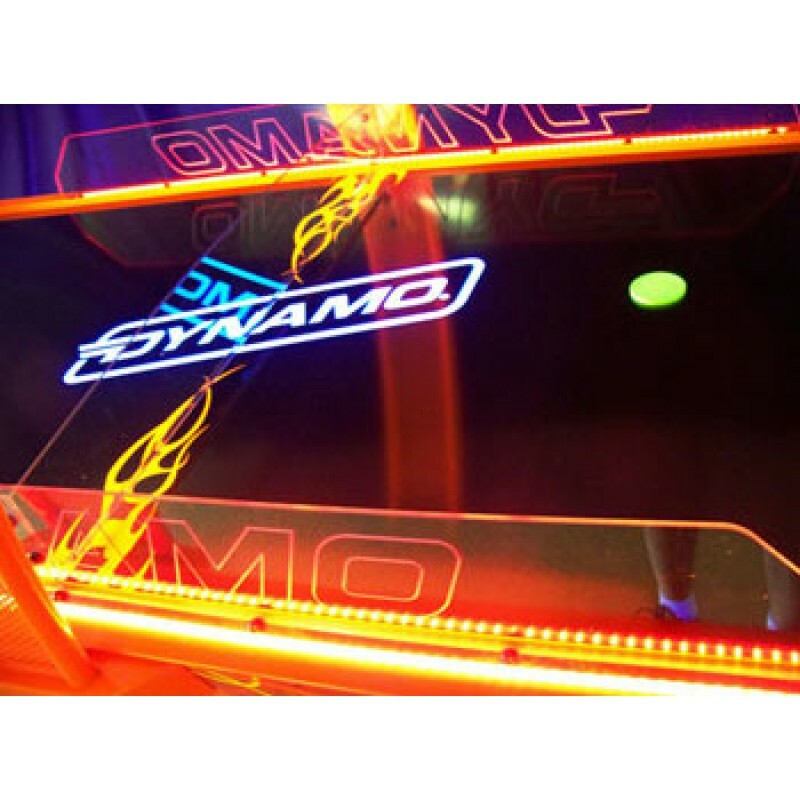 Blacklight reactive Flaming orange trim and graphics light up the room! Overall Product Weight 485 lbs.